Project detail: As part of a very competitive tender 2h Storage successful won the contract to maximise the storage capacity for this Durham based company in the North East. We worked through 6 revisions of the design layout and drawings providing CAD drawings and amendments to the design. 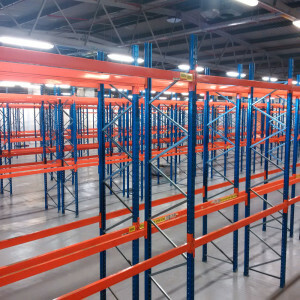 The primary objective was to provide maximum racking storage in the most cost effective manner for their new facility in Durham. This was accomplished by providing beams with a clear entry above 3000mm to carry their large lightweight furniture stock. This not only provided the large open storage areas within the racks to take large items of office furniture. It also reduced the number of frames required per run length, making further cost savings. 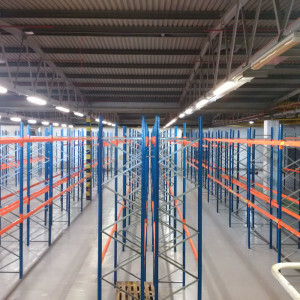 The pallet racking installation project was delayed several times due to issues with the main contractors build programme. 2h Storage held the racking at a third party warehouse and rescheduled the team to meet Godfrey Syrett’s revised programmes of works. Our pallet racking installation team installed the racking on the new painted warehouse floor. 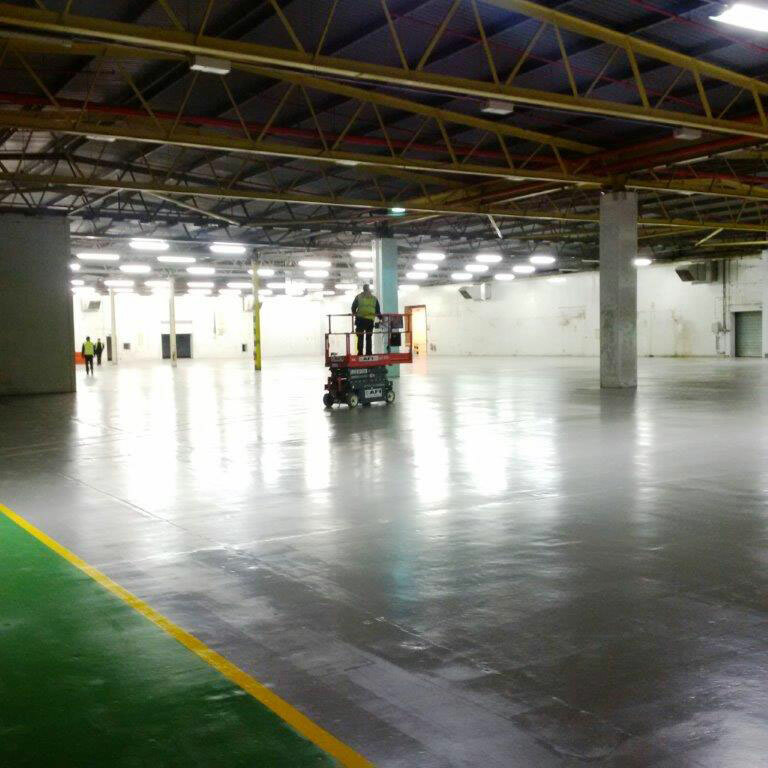 The floor painting was completed on the Friday and our team starting the racking build on a brand new pristine floor on the following Tuesday allowing the surface to cure. You can see from the images that it remains in pristine condition. 2h Storage have already won a contract to build a mezzanine floor based on Chris’s kind recommendation. Thank you to Chris all the team at Godfrey Syrett for your assistance during the project!